Having an excellent bio is crucial for both, published and unpublished authors. A good bio is a unique way to let the reader know about yourself. However, if you haven’t published anything yet, having a good bio ready for when you do it will save you tons of time. A well-written biography that includes the most relevant information about yourself briefly, can help you connect with the reader. And our biography writing services can help you with that. It is also an excellent way to market yourself and let people know about your writing interests and published texts or your career trajectory. A good bio can also help you connect with a broader audience. It can help you reach new markets and connect with new readers. Thus, it is vital you ensure your biography is well-written, that it doesn’t contain any language mistakes, and that it is readable. A good bio is mandatory for every published author. Otherwise, the reader will not be able to get to know you. A well-written bio can be published as part of your book, for PR purposes, on your personal website, or resume. But even if you are an unpublished author, a good bio can help you market yourself. By including your career trajectory, personal projects and what you are working on, the reader will be able to know about your interests and motivations. Thus, make sure yours include all the necessary information about yourself and your own projects. Before starting to write your biography, or hiring someone else to do it, there are a few things you should prepare in advance. Gathering all the relevant information ahead of the writing process will help you ensure your bio is relevant. For this, think of what you would like people to know about you. Would you want to include all your published content or just the ones that are more important to you? Do you think they should know about your academic and career trajectory or is it better if you focus on your writing? Deciding these things in advance will help you save tons of time. However, if you are looking for some inspiration to start writing your biography, take a look at our sample author bio for book that our professional writers have written. Even though this is an example for a book, you can get an idea of the sort of information you should include and the format you should follow. Write for your target audience. This is crucial to ensure the reader understands your bio and resonates with your message. Decide where would you be publishing your bio. There are slight differences between a digital or a print version. Think about this before you start writing your bio. Gather all the relevant information about your professional career. First of all, think of who your target audience is and what you want them to know about yourself. This will help you tailor your bio specifically for your ideal reader and save you time in the editing process. Once you know who your audience will be, start by gathering all the important facts about your professional trajectory. 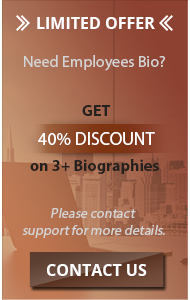 Having this information before you start writing will help you organize your bio better. Open your bio by introducing yourself, or you can use an unexpected sentence to catch the reader’s attention. This will depend mostly on your personality. Briefly describe your academic and career path. Include any published content you may have and any personal projects you may be working on. Add any awards you may have won. But do so briefly. Don’t explain them too much or people will see you as an egocentric author. Finish your bio with a catchy sentence or links to your social media profiles or your personal site. This will help the reader connect with you. After you have finished writing your bio, remember to proofread and edit it. You would not want people to think of you as the author that makes grammatical mistakes. Author biography sample provided online by our team is definitely a great help for the upcoming writers. Nowadays, all authors are establishing their profiles at the various popular social networking sites. These profiles at the social networking sites along with a well-written bio can gain good attention for the writer as well as for the books too. You can follow all the available author biography writing examples online for this purpose. Nowadays biography writing has taken a new style that is writing in second person format. You can see this format in our author bio sample mentioned below. Biography written in the right format only can get you recognition as well as a value too. It is highly important now to have the bio in the best way like others and make it far special than others too. If you are writing a bio, you should know there are slight differences between a bio for a published author and one for an unpublished writer. Even though both will need to tell the relevant information about an author, like personal projects and career trajectory, as well as their personal details, you will need to focus on some points or others. For example, for an unpublished author bio, you will need to highlight the personal projects you are working on, personal interests and career/academic trajectory. On the other hand, a biography for a published author should focus on the published content rather than the personal projects. An unpublished author should highlight their academic achievements. They should also make emphasis on their personal interests. Including any personal projects they may be working on can help them demonstrate their writing skills. A published author should mention their most relevant published pieces. They most include any awards they may have won. And add their areas of interests. 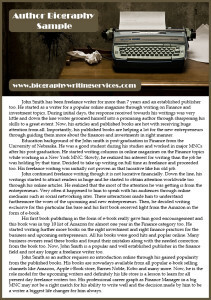 John Smith has been freelance writer for more than 7 years and an established publisher too. He started as a writer for a popular online magazine through writing on Finance and investment topics. During initial days, the response received towards his writings was very little and down the line writer groomed himself into a promising author through sharpening his skills to a great extent. Now, his articles and published books are hot with receiving huge attention from all. Importantly, his published books are helping a lot for the new entrepreneurs through guiding them more about the finances and investments in right manner. Education background of the John Smith is post-graduation in Finance from the University of Nebraska. He was a good student during his studies and worked in major MNCs after his post-graduation. He started writing columns in online magazines on the Finance topics while working in a New York MNC. Slowly, he realized his interest for writing than the job he was holding by that time. Decided to take up writing on full time as freelance and proceeded too. His freelance writing was initially not proven as that lucrative like his old job. John continued freelance writing though it is not lucrative financially. Down the line, his writings started to attract readers in huge and he started to obtain attention worldwide too through his online articles. He realized that the most of the attention he was getting is from the entrepreneurs. Very often it happened to him to speak with his audiences through online mediums such as social networking sites. These interactions made him to understand furthermore the woes of the upcoming and new entrepreneurs. Then, he decided writing exclusive for this particular fan base and his first book received light from the Amazon in the form of e-book. His first book publishing in the form of e-book really gave him good encouragement and this book was in top 10 list of Amazon for almost one year in the Finance category too. He started writing furthermore books on the right investment and right finance practices for the business and upcoming entrepreneurs. All his books were good hits and popular online. Many business owners read these books and found their mistakes along with the needed correction from the book too. Now, John Smith is a popular and well established publisher in the finance field and not any longer a freelance writer too. John Smith as an author requires no introduction online through his gained popularity from the published books. His books are nowadays available from all popular e-book selling channels like Amazon, Apple iBooks store, Barnes Noble, Kobo and many more. Now, he is the role model for the upcoming writers and definitely his life store is a lesson to learn for all present-day freelance writers too. His professional career graph as Finance Manager in a big MNC may not be a right match for his ability to write well and the decision made by him to be a writer the biggest life changer for him always. People would expect you to write a brief creative bio if you are an author. They would be expecting more from you. However, selling yourself can be tricky. You can seem too egocentric if you do it too directly, or you may be failing at it if you are to shy. Finding the right balance can prevent you from writing a creative and relevant bio. Thus, contacting a professional bio writer is the perfect solution. 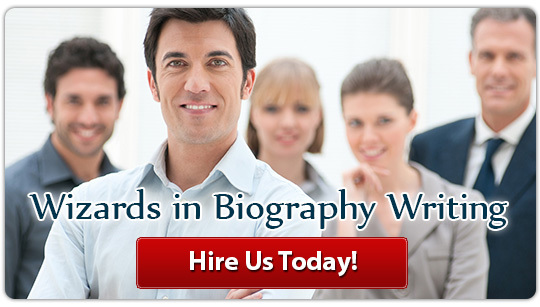 Find more biography writing samples online on our biography writing services website.